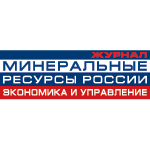 The 12th International Mining and Exploration Forum – MINEX Russia 2016 took place in Moscow on 4 – 6 October 2016. MINEX Russia 2016 – the 12th Russian Mining and Exploration Forum has successfully concluded last Thursday in Moscow. From 4 to 6 October over 500 heads and specialists from Russian and international companies and organisations took part in the forum. Prior to the start of the forum four master classes dedicated to practical aspects of improving mining efficiency and safety were organised by ConitTech, SRK Counslting, Navgeocom, Maptek, GroundProbe, IMC Montan and AMC Consultants. The first day of the Forum’s agenda began with the third annual round table hosted by the Federal Agency of Subsoil Use of the Russian Federation. The heads of the agency discussed with over 80 Russian and International mining companies important issues concerning mining regulation and business practices. The faltering auctioning of new mining licences proved to be the hottest topic during the session. At the meeting, the Union of Gold Producers of Russia presented proposals on several key amendments to the subsoil use law in order to stimulate growth and remove investment barriers. At the forum’s opening session Evgeniy Kiselev, Deputy Minister of Natural Resources -the Head of the Federal Agency for Subsoil Use and Mr Timur Toktabaev the Vice Minister of the Ministry for Investments and Development of the Republic of Kazakhstan presented keynotes which addressed important developments in the Mining sector in Russia and Kazakhstan. Over 100 speakers and panellists presented their views and projects at 12 themed sessions organised during the two days of the Forum. 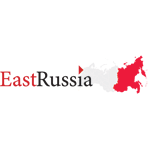 Over 50 Russian and International companies exhibited at the trade and investment show organised alongside the Forum. The show attracted around 900 business visitors from Russia and overseas. The forum materials will be published on the site on the 30th of October 2016. The study, conducted as part of the event, entitled “Sources of growth in the Russian mining sector” shows that the participants of the Russian mining industry have high hopes for the growth of the industry in general and their individual segments in the near future. The speaker reports made during the forum also echoed the sentiment that the state of affairs in the industry is quietly starting to improve. Business and government are seeking new ways of profitable cooperation. As a general rule this involves building infrastructure, permitting companies to launch new mining projects at lower costs. Another important issue is the lack of interesting geological ideas and start-ups developed by junior companies. This problem is understood by both the regulators and major companies for who junior projects could become a fruitful ground for further development. The recently launched “Vostok” platform is one of the attempts at finding a solution of funding junior mining companies. The online information exchange, voting and raising questions during the conference was handled by the MeYou social network. In total 156 business cards were registered on the network, 707 messages exchanged during 195 conversations, 389 photos uploaded and 11 blitz polls answered. The polls were a subject of active interest from the forum participants, were often commented on by moderators and speakers and on the whole provided a good picture of the opinions held by market participants in regards to pressing industry matters. The forum was concluded with the 10th Russian mining excellence awards and the 5th annual “Miners and Mines of Russia” photo competition. “We would like to thank all the participants, sponsors and partners of the forum. We hope to see the the growth potential discussed by the industry participants will be represented by realised projects and new ideas to help economic growth and prosperity of Russia at the next MINEX Forum.”-noted Mr Arthur Poliakov, the head of the MINEX Organisational committee. The next, now 13th MINEX Russia will open in Moscow 10-12 October 2017. MINEX Russia Forum regularly brings together over 500 heads of industrial companies from Russia, Kazakhstan, Kyrgyzstan, Ukraine, countries of the European Economic Community, China, Mongolia, North America, Southeast Asia, Africa, Latin America and Australia. Discount if paid before 15/06/16 – 15 %. Discount if paid before 15/07/16 – 10 %. Master classes and workshops are designed for technical managers of mining and exploration companies. Organised on the first day of the Forum master-classes provide an opportunity for express learning of advanced mining technologies and their practical application. The Forum and Exhibition traditionally bring together heads of mining companies, representatives of federal and regional executive authorities, investment funds, banks, industry associations, service companies and equipment producers. Over 70 reports and speaker presentations are expected during the two-day program of the Forum. Over 30 Russian and foreign companies are expected to exhibit at the Trade & Investment Show organised alongside the Forum. The Forum offers companies and organisations opportunities to organise alongside the Forum corporate events aimed at educating customers and meeting stakeholders. The Forum hosts annual meeting with leadership of the Federal Agency for Subsoil Use (Rosnedra) where companies and investors can openly discuss issues related to mining regulation and licensing practices. Held alongside the Exhibition, Business podiums provide Exhibitors and Delegates with the platform for organising product or service demonstrations. Since 2007 MINEX Forum holds the “The Russian Mining Excellence” award and the “Miners and Mines of Russia” amateur photography award. The Forum also supports national Youth Mining Competitions and regularly hosts workshops for mining students. Companies or Entrepreneurs will be able to present greenfield and brownfield investment projects to a panel of professional investors and mining financiers at the Mining Dragon’s Den sessions organised alongside the Trade Show on 5-6 October. After their presentations, speakers will be able to arrange private consultations with the experts and record video interviews, which will be posted on MINEX TV internet channel on YouTube. A poster presentation will empowers delegates with additional opportunities to interact with other Forum participants. Companies or Individuals interested in sharing their ideas or projects with prospective clients, investors and peers will be able to host themed discussions at the interactive round tables during lunch breaks. A poster presentation will empower delegates with additional opportunities to interact with other Forum participants. Poster boards will be organised alongside exhibition on 5 and 6 October where delegates will be able present their projects and discuss them with other delegates and exhibition visitors. MINEX Forum is a true gold mine for striking personal contacts and making business acquaintances. Jointly with the MeYou social network start-up, the Forum organisers will offer registered delegates networking and information services: access to the participants’ network; share information, thoughts and ideas with the network participants; send personal invitations to meet alongside the Forum; participate in the interactive votes and surveys; ask speakers questions during the sessions and receive prompt answers; see and share the photos taken during the Forum.